Social work is a challenging field that by many standards doesn't pay well. For those who are interested in pursuing a social work degree and also finding ways to maximize the monetary return on investment in that degree, we've compiled a list of high-value schools better-paying metro areas you'll want to consider. 1) Metropolitan and non-metropolitan areas that have a baccalaureate-level social work program accredited by the CSWE. 2) We selected the 20 areas with the highest salaries for social work related jobs, according to Bureau of Labor Statistics. 3) Within each region, we selected the schools with the highest ROI according to Payscale.com. While we realize that not everyone will choose to work in the region where they get their degree, we think this survey will prove to be useful for those who may consider pairing a high-value BSW with a job in the region where they've gotten their degree. As a CSWE-accredited program offering an introduction to the social welfare system, the Bachelor of Science in Social Work (BSSW) degree is specifically designed to provide the preparation needed to assume entry-level case manager positions. In the 42-credit major, students will benefit from challenging coursework, innovative hands-on internships, and flexible course scheduling. 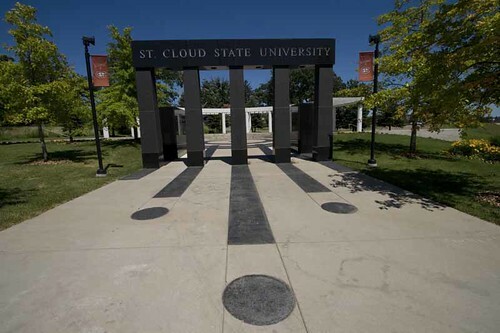 In-state tuition at SCSU is $9,020, making this BSSW one of the more affordable Bachelor's of Social Work degrees. Featuring a summer research experience for one-on-one mentoring with a professor over 10 weeks, Carthage College offers the Bachelor of Social Work (BSW) to integrate liberal arts into effective professional social work practice. With more than 120 student groups, social work majors can get involved, explore possible careers, network with students, and perform rewarding community service. In preparing undergraduate students to improve the quality of life for our nation's most vulnerable populations, the Bachelor of Social Work (BSW) program at Western Illinois University is focused on highlighting diversity for achieving social and economic justice. All students are required to complete 450 clock hours of supervised hands-on social work experience in assessment, supportive counseling, and case management. As a strengths-based educational program, the undergraduate social work degree at UW Oshkosh is focused on preparing caring social work professionals with a commitment to social justice values and strong generalist practice skills. Graduates are equipped to act as the "heart and conscience" of society to advocate for those suffering discrimination, poverty, and oppression. Undergraduate in-state tuition at UW Oshkosh is only $7,401, making this program a great choice for a cheap bachelor's in social work degree program. 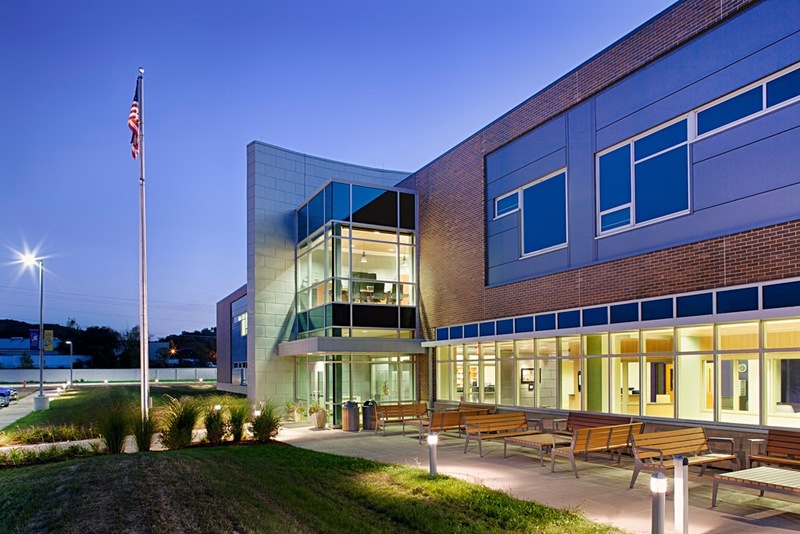 Within one of America's most distinctive public colleges, the Baccalaureate Social Work program at Stockton College is based on the NASW Code of Ethics to prepare entry-level professional social work practitioners from a generalist approach. The bachelor's in social work degree program has close relationships with over 70 local community agencies to provide opportunities for students to apply classroom learning in real-life practice settings. 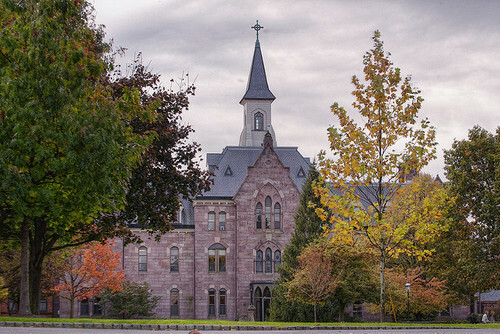 At Marist College, the Bachelor of Social Work (BSW) program is dedicated to preparing generalist social work professionals for promoting the well-being of all people in an integrated curriculum grounded in the core values of the profession. With its position in the Mid-Hudson River Valley, the program specifically seeks to understand social issues in urban environments, especially smaller cities surrounded by affluent suburbs. Boasting a unique blend of professional and experienced faculty, the Bachelor of Social Work (BSW) program at Loyola University Chicago builds on a strong liberal arts base to introduce students to the dynamic changing profession of social work with at least 480 hours of field experience. Students may also be interested in the accelerated five-year BSW/MSW program, which is one of few offered in the United States. Housed within the school renowned for providing the first training to clinical social workers in 1904, the Bachelor of Social Work (BSW) at Simmons is one of the leading undergraduate programs for preparing generalist social workers with academic rigor. Highly motivated students also have the option of pursuing the Accelerated 3+1 BSW/MSW program to receive both degrees concurrently in four years. Featuring partnerships throughout the Central Minnesota community, the Bachelor of Science in Social work (BSSW) program at St. Cloud State uses an anti-oppression lens to create an educational environment for advocating equality of race, class, and gender. Graduates are prepared for entry-level professional positions in the social welfare or human service system as well as entry into graduate school after earning the bachelor's in social work degree. At SIU Carbondale, the Bachelor of Science in Social Work (BSSW) program integrates hands-on research and learning experiences with on-campus classroom instruction from experienced faculty members. In this innovative bachelor's in social work program, senior-year students also have the opportunity to study abroad in Munich, Germany to receive a unique cross-cultural introduction to human rights issues across Europe. With accreditation through the CSWE, the B.A. in Social Work program at Bethel University Minnesota is designed to provide eligibility for licensure to serve individuals, families, groups, communities, and organizations in need. In the 63-credit major, students will build the biological, social, psychological, and behavioral science foundation needed for generalist social work. Guided by the Roman Catholic traditions of Sacred Heart University, the Bachelor of Social Work (BSW) program seeks to help people maximize their well-being and resolve social issues in entry-level generalist practice. All undergraduate social work majors spend three semesters in field agencies for 600 clock hours of experience as interns to learn practice skills from professional social workers. Focused on NASW competencies, the Bachelor of Social Work (BSW) at Central Connecticut State will train students to advance human rights, social justice, self-determination, and self-sufficiency with respect for client strengths. In addition to the traditional daytime four-year format, there is a specialized social work weekend and evening program available for employed adult learners seeking a generalist undergraduate education. As an accredited competency-based generalist baccalaureate program, the B.A. in School Work at Western Connecticut State is focused on preparing effective social work professionals to enhance human well-being by valuing the dignity of all persons. Requiring 53 credits of major courses, the program offers junior and senior-year field placement assignments for professional training across the Greater Waterbury metropolitan area. At Providence College, the Bachelor of Social Work (BSW) offers a nationally accredited curriculum with a personal touch with small class sizes, one-on-one advising, collaborative research engagement, and professionally supervised internships. For over 40 years, graduates have gained employment as clinical counselors, child welfare advocates, program directors, social policy developers, and more. Within the nation's fourth largest School of Social Work, the accredited Bachelor of Arts in Social Work (BASW) at Rutgers is an upper-division professional program available at the beginning of the junior year to build the values needed to work effectively with at-risk populations. For a global perspective on human services, the School offers study abroad programs in Romania, Israel, Mexico, and China. 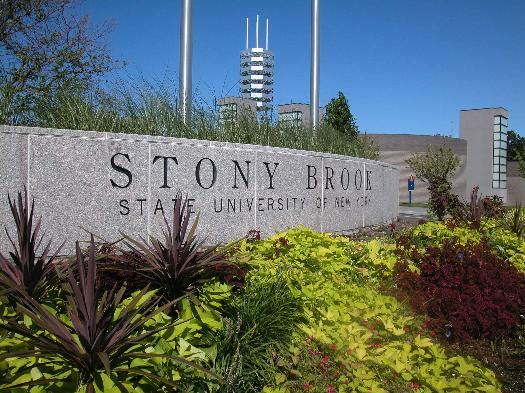 Situated in the Nassau-Suffolk NY Metropolitan Division, which boasts the highest average social work salary according to the Bureau of Labor Statistics, Stony Brook offers an accredited Bachelor of Science in Social Work (BSSW) program for beginning entry-level generalist social work practice. From the East End of Long Island to New York City, the program includes field placements two days each week in social welfare organizations. Founded by Dr. Ron Federico, co-author of the blueprint for modern baccalaureate-level social work education, the accredited B.S. in Social Work at Iona College delivers the rigorous preparation needed to become a competent professional well-grounded in social work values. Students take courses in human behavior, social welfare, diversity, social environment, lifespan development, social research, social work processes, and field instruction. Topping our list with a whopping 20-year net return of investment of $497,300, the Bachelor of Social Work (BSW) program at George Mason prepares students for beginning generalist professional practice with the optional concentration in aging studies. Students benefit from completing at least 450 hours of supervised field practicum in approved agencies across the nation's capital region for immediate employment options upon graduation. Earning an undergraduate degree in social work is a smart economic move for students interested in a rewarding career in a helping profession because the demand for qualified social workers in social services agencies is projected to skyrocket. Not only will choosing one of these accredited bachelor's in social work degrees with high return on investment lead to above-average salary potential in the university's metropolitan area, but it will also provide the credentials to enter an in-demand social work profession poised to grow by 19% before 2022.